TGIF! This was a fast week since my last post. Well...at least it feels like that to me because I was in Miami until Tuesday so I had a short week back to work which was majorly busy and I had plans every night as well. The short week was a blur! I have no complaints though as everything was wonderful and I am blessed to have seen so many of my friends and family. Gosh, y'all. Truly I feel overwhelmed sometimes with how good God is and the blessings I am provided in the midst of life, as if He's the beacon of light leading me forward with a focus on Him in spite of the blurred paths and brokenness that may surround me. Do you stop to count your blessings every day? This can take training of the mind and heart to reflect on this, but truly do you count them? When I hear comments or am questioned about how I maintain a busy schedule and (clearly) don't rest enough, all I can think is that everything I have the opportunity to do and the people I get to see or the places I get to go are all good things. I am not by any means suggesting one should burn the candle at both ends and wear oneself out. I do take time to rest when I feel worn down and if I can rest. In fact, I was thinking about it this morning because I didn't sleep well last night and have too much on my mind (as usual) and was attributing it to multi-tasking so much. Who knows what the deep rooted cause is and I suspect one day it will shut off, but for now I just embrace it. I guess this will lead me to my first item for today's post! Sorry for rambling. I'm linking up with Erika to share my favorites from this week. This song! I keep listening to it over and over again. I have raved about Hillsong United umpteen times before and they simply do not disappoint me. I finally listened to some new releases from Coldplay (LOVED) and Hillsong this morning that Spotify emailed me week(s) ago. I haven't read The Shack yet, but have had it for years. I'm going to have to read it before seeing this movie. The song is beautiful and lyrics are powerful. I finished the booked Graced Filled Marriage this morning at the gym. I really enjoyed the message it gave throughout the whole book and all I could think is I'm going to have to buy the paperback version of it too so I can keep it for reference. 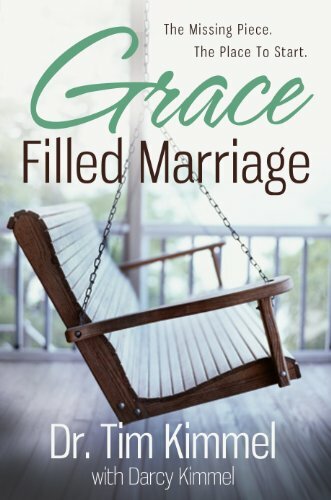 The premise is that to have a successful marriage we need to first seek Christ's love and grace for ourselves, and then we will be able to fully love and extend grace to our significant others, lift them up when they need strength and support, encourage them to become the person God is making them while not shaming them for their faults and errors during the trials. If we are able to remember that Christ first loved us, forgave us, and extended grace AND mercy to us when we do not deserve it nor can we earn it, then we will have a more open heart to extend that same love and grace to each other. I may write a review on it later, but in the mean time it has climbed the charts as one of my favorite books about marriage & relationships. There's no way I could go to Miami and not mention that my nieces are (always) a top favorite from my past week! Goodness gracious, I don't know that I could love anything (but God) as much as I love these four little girls. I remember the moment I first looked into the eyes of my oldest niece. It was powerful to see the beauty of life created and knowing I was holding a piece of my brother and sister in law...and then they had three more! My oldest niece, will be four in June. She is very outgoing and loves to chat. The girls all speak a mix of Spanish and English so thankfully Tia Becca still remembers enough of my eight years of studying Spanish to converse with toddlers. ;) She cracks me up with her commentary and expressions and is so smart! I love how she says Tia Becca and if you repeat back what you think she's saying (and if it's correct), she'll say "Okkkk". Such a doll. My second niece (on the right, above) will be three in July and is blossoming past/through a "must be with mom at every moment" phase so when she opens up and smiles and speaks it just melts my heart. I love those moments when her personality shines. I think that's why I get an intense sense of joy in my heart when/if she falls asleep when I hold her. I treasure those moments. This is her at 5 months, 13 months, 16 months, and the last two pics are from this week. I melt. Tia Becca is open 24 hours a day for any of my precious nieces to nap on. Open arms! I know this past week was just her being so exhausted that when I took her into my arms to comfort her from crying and started to rock her she passed out. I'll take the fleeting moment however it comes. Last but certainly not least are my identical twin nieces who are 1.5 years old right now. They are so stinking cute! I firmly believe they are communicating with each other in their own language when you see them interact and then go do the same thing. For example, they both will put one shoe on their right foot and walk around. ??? Another example, they were playing with each other when one stops to point at the TV and babbled something. The other one babbled something back and pointed at the TV as well. Then they both went over to the TV, held on to the TV stand, and started dancing up and down in sync. These beauties sure do love to dance! I love Kiehl's sun-free self tanning lotion. I was introduced to it SEVEN years ago (where did the time go?) and have been using it since. It's easy to apply without streaks and there's only one shade to purchase. If you apply more, obviously your tan will be a bit darker. I put it on at night, wait a few minutes before putting on loose pajamas, and proceed with my evening tasks like cooking, laundry, etc. Usually I give it at least 30 minutes before I go to bed and shower it off in the morning. After years of tanning beds when I was younger, I shamelessly admit that I use a self tanner year round as frequently as my schedule allows or necessitates. I love it! Do you have any self tanners you'd recommend? I don't know if I can part ways with mine but there's bound to be some improved ones in the past seven years, right? I'm going to wrap this up early this week with only four favorites because I had a short week myself, but I realize the post is a bit long anyway. =) I hope everyone has a fabulous Friday and a joy-filled weekend.